A message to the liberals. Thank you for challenging my faith. Especially with regard to John’s Gospel. I’m one of those fairly conservative evangelical sort of guys, with a sort of charismatic twist, and a leaning towards catholic techniques of meditation, such as Lectio Divina. Normally when I hear what liberal Christians say it makes me think, and normally I think that I disagree. This was true when I read that the I am passages from John’s Gospel were not said by Jesus. Ridiculous. Or is it? Then reading the Gospel I read that John’s gospel is a compilation, which is what the liberals were saying: So I looked again. What they were saying was that the words attributed to Jesus in the Gospel were based on the experiences of the early Christians. They experienced Jesus as the Good Shepherd, they experienced Jesus as the Light of the World and they experienced Jesus as the Way the Truth and the Life. That gave me a challenge and a worry. The challenge was: Am I experiencing Jesus in this way? It helped me focus on my relationship with God. Is this true of me? How do I experience Jesus? The worry is that there is very little testimony in what I read. Do the theologians experience what they write? I’d really like to know this. 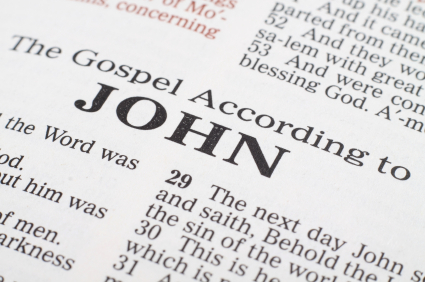 A strictly literal reading of John tells things about Jesus without hinting that Jesus as the Resurrection and the Life is to be experienced. On the other hand you do not have to believe that Jesus did not speak these words in order to experience them. But thank you liberals for making me think. Why the devil has all the best tunes.